Interested in working at Passavant Memorial Homes? Are you a caring and compassionate person with a commitment to quality? If so, Passavant Memorial Homes is hiring today. Join our team of professionals dedicated to promoting choice and independence for persons with intellectual disabilities. Competitive wages, excellent benefits package, paid time off, 401K plan, paid training, opportunities for advancement, equal opportunity employer and more! NOTE: employment is contingent upon successful completion of Act 33/34 clearances, reference checks and pre-employment physical. Click the Button above or HERE for an Application. Print it, Fill it out (by hand), Send it in! Why work at Passavant Memorial Homes? We value quality staff, and offer competitive wages and benefits! Passavant Memorial Homes (PMH) is committed to a team-oriented work environment that exemplifies a participatory management driven process, and is characterized by staff development and advancement. Promoting this philosophy, and valuing every employee’s talents, initiative, and leadership skills will assure every consumer and family member the utmost in quality support and care. PMH values quality staff as they make significant, every day contributions to the individuals we serve. We are committed to offering the most competitive wage and benefits possible to all of our staff. We are currently offering both full-time and part-time positions. Quality employees are the key resource to assuring a high quality program. PMH provides a required training program to all new employees through which they receive an introduction to PMH, training on policies and procedures, programming, and topics related to specific job functions. Staff are also certified in First Aid, CPR, and a state approved medication administration training program. Staff receive frequent on-the-job trainings at their particular worksite prior to becoming fully active employees. Throughout the year, staff participate in ongoing educational activities to remain updated, learn best practices, and increase their knowledge base. PMH offers the current open interview listed below. Come in for an interview and you could leave with a job! No appointment necessary! If the open interview location and time does not work with your schedule, please contact our hiring team at 1-888-764-6467 extension 111 and we will gladly accommodate. 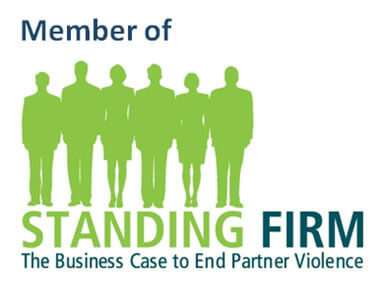 Passavant Memorial Homes is a proud member of STANDING FIRM.